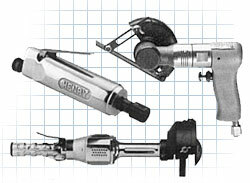 Henry Air Tools are manufactured by the Henry Tools, Inc. company in the USA. All tools and parts are made to precision tolerances. From the design and engineering to the forging and finishing, all work on Henry Air Tools is performed in the USA by skilled machinists and assemblers. Many of the unique design features of these tools have been imitated by others and are now accepted as industry standards.